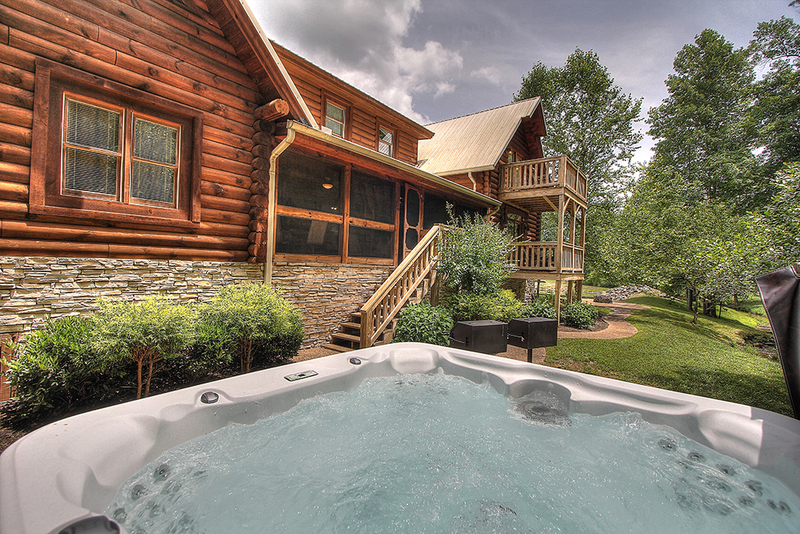 This cabin has everything we want and need. We've stayed here with our family several times and we keep coming back. That says it all! 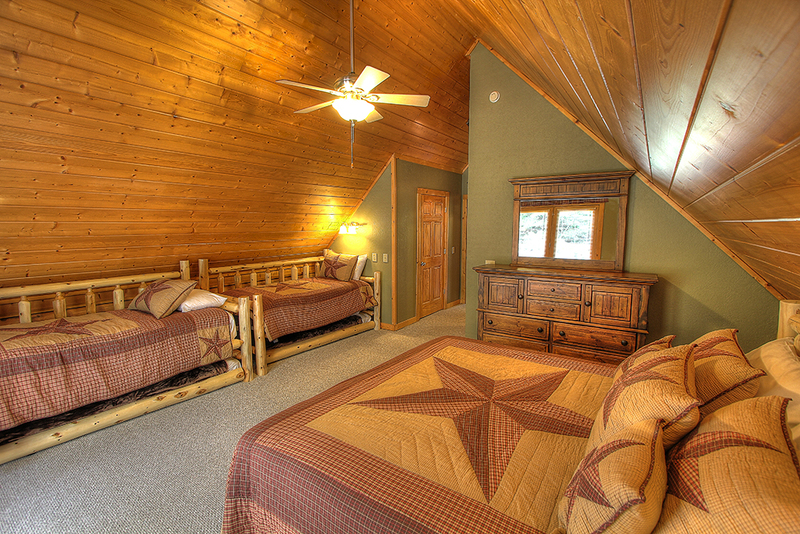 This cabin is so spacious and has all the extras our family was looking for. There's something for everyone! 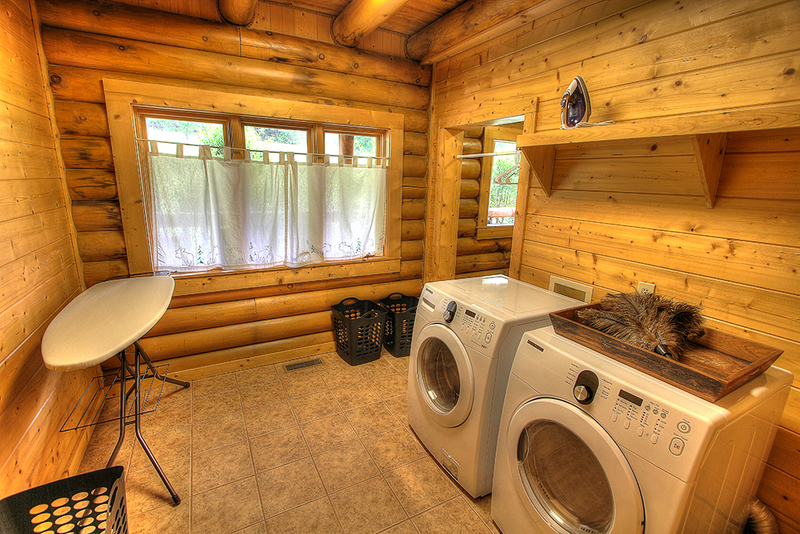 Plus, the cabin was decorated beautifully and very clean. We will definitely be telling our friends about Maples Ridge and will be back again! We loved the house! So much space. 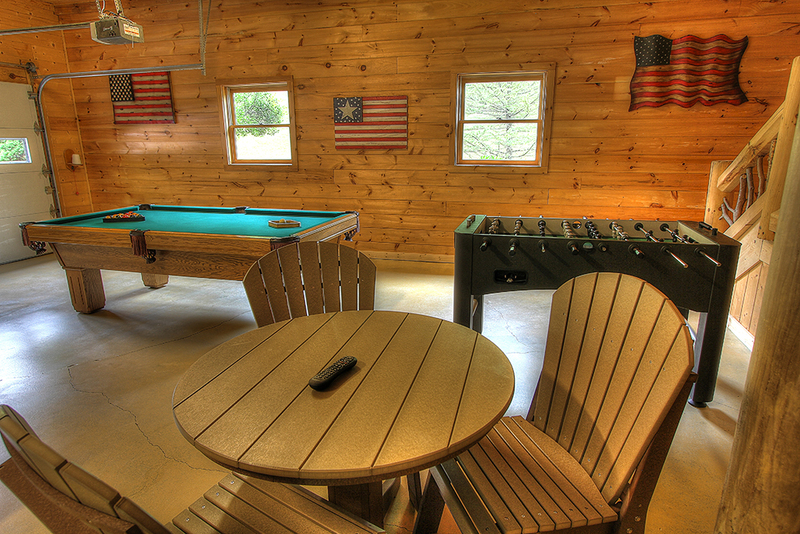 Our young adults enjoyed the game room, movie theater room, and fire pit. My parents enjoyed sitting and listening to the creek. 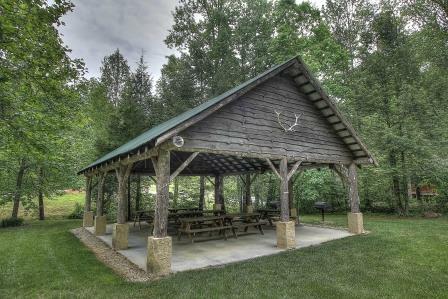 this is the best place to stay with a large group. 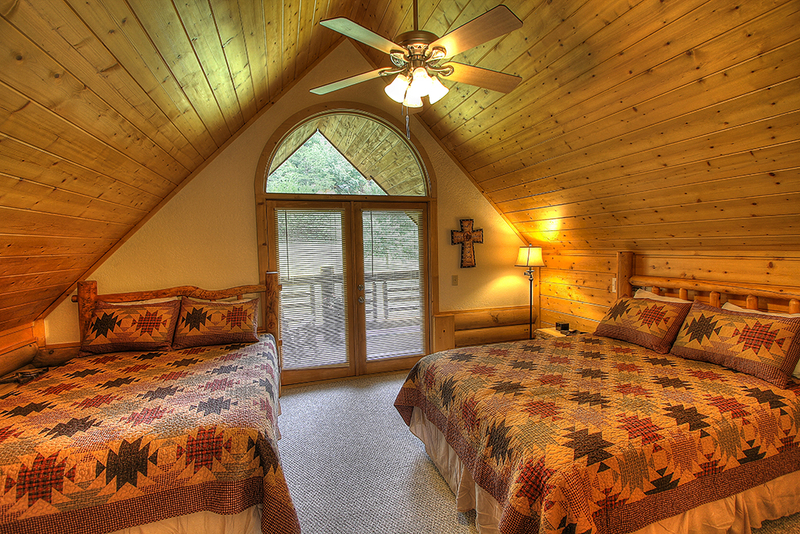 We have already talked to our friends and recommended this house for their next mountain stay. It is a BEAUTIFUL home, and the staff at Maples Ridge awesome. 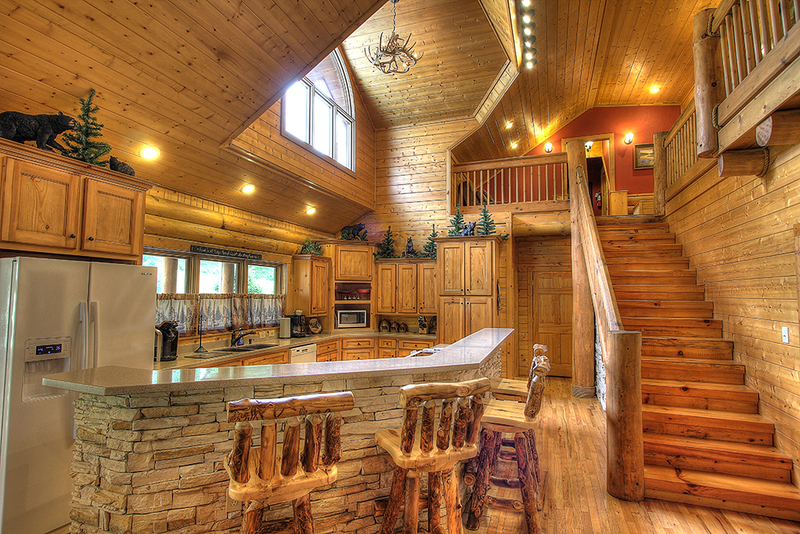 The cabin was great for my family. 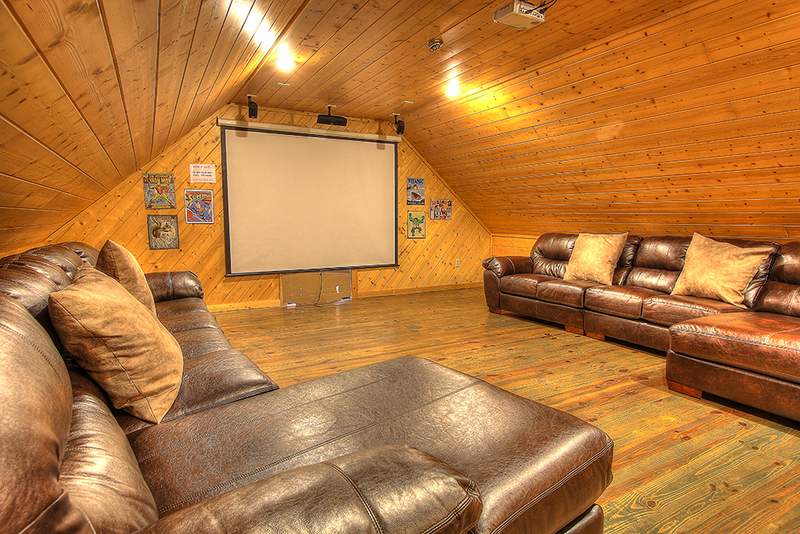 The children enjoyed the theater room and the game room. 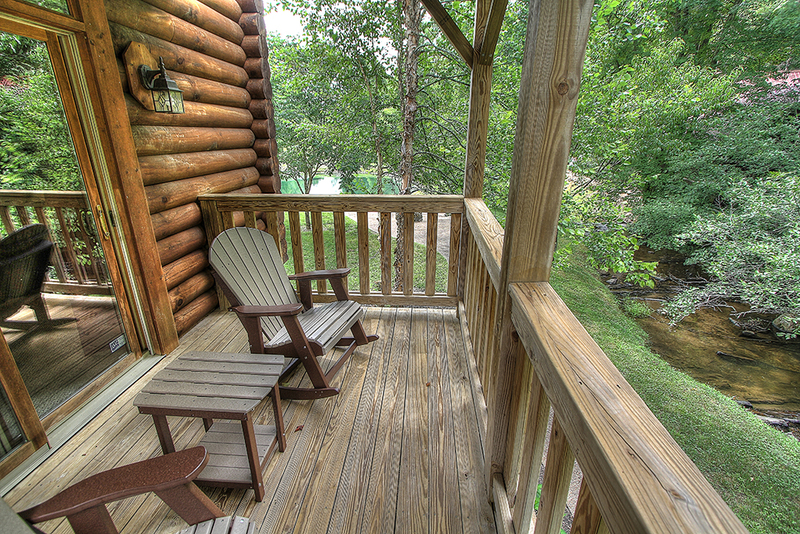 We've already reserved the cabin again during the summer so the kids can play in the creek! We can't wait to come again! 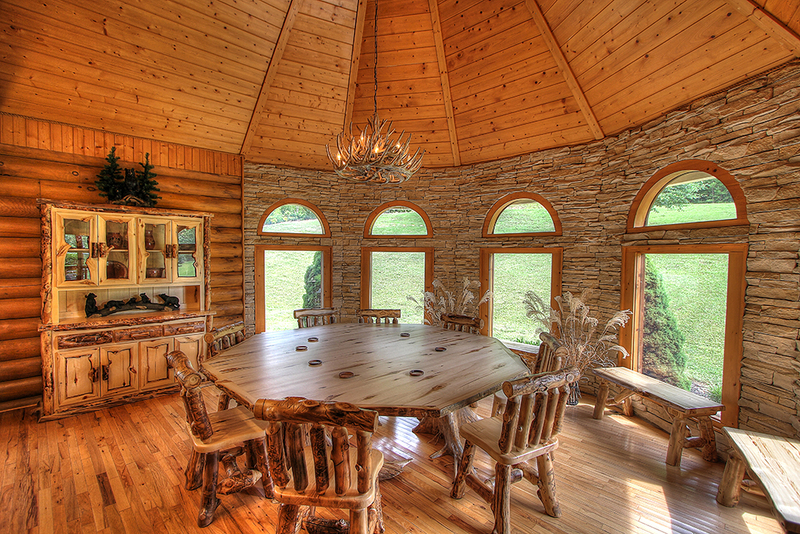 This cabin had everything we wanted and needed. 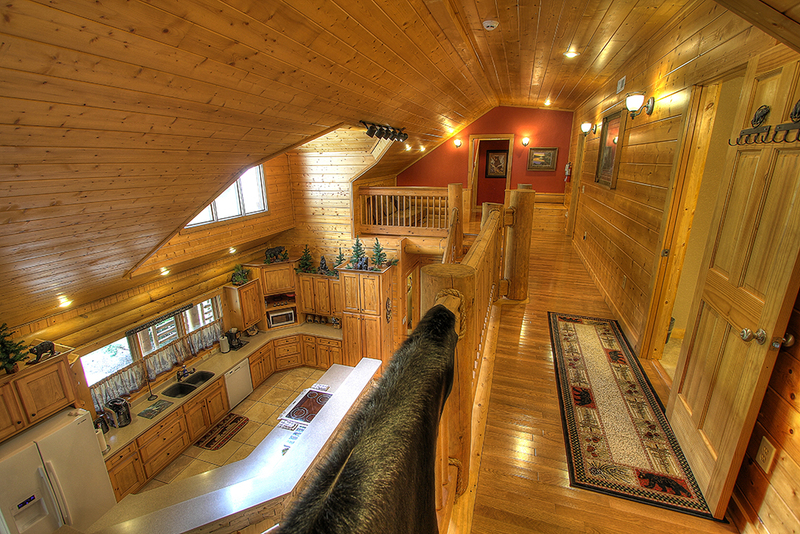 Beautiful cabin and a really friendly staff. We would love to come again! 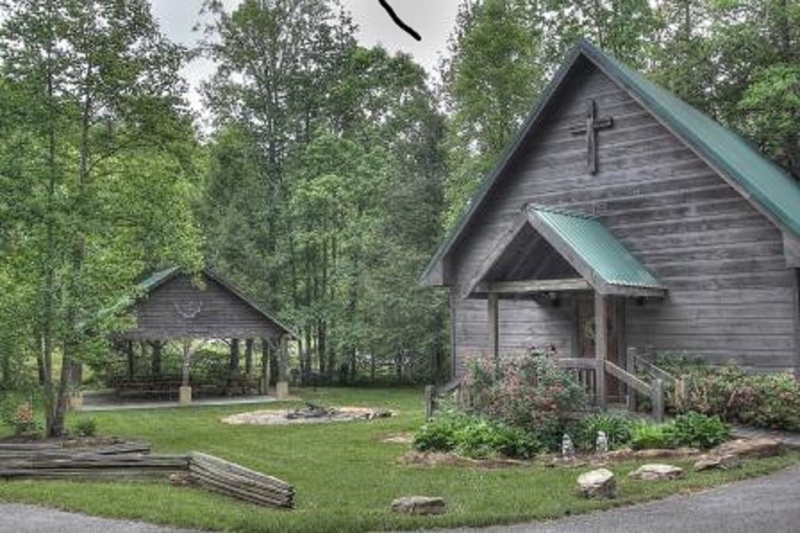 My family cannot stop talking about how beautiful the cabin is and how they had such a wonderful time and want to make it our family vacation place, and I agree 100%! It's the most beautiful place I've seen in a long time. Very spacious and very well laid out. Very, very clean and had no issues at all! The property was really nice and very clean. We had an awesome stay. We will definitely be returning. 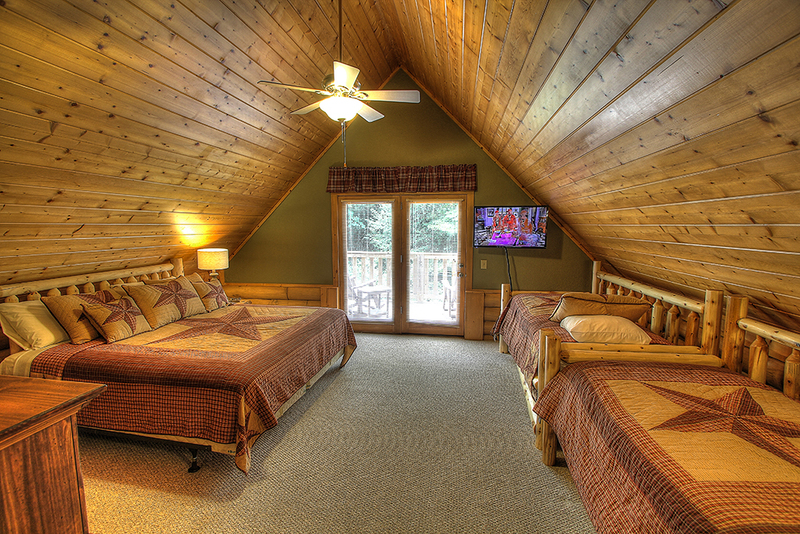 Great accommodations for our large group. 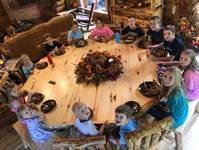 We had 4 families meet up in the Smoky Mountains. 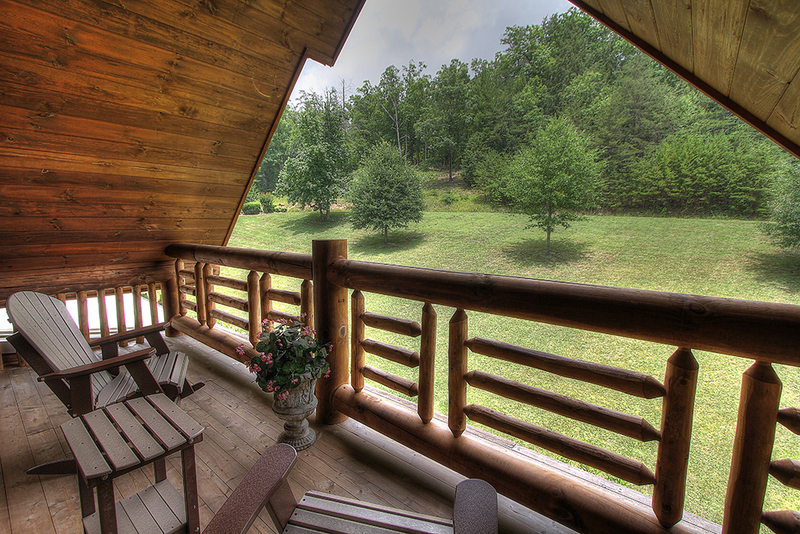 This cabin was perfect for us and our diverse interests. 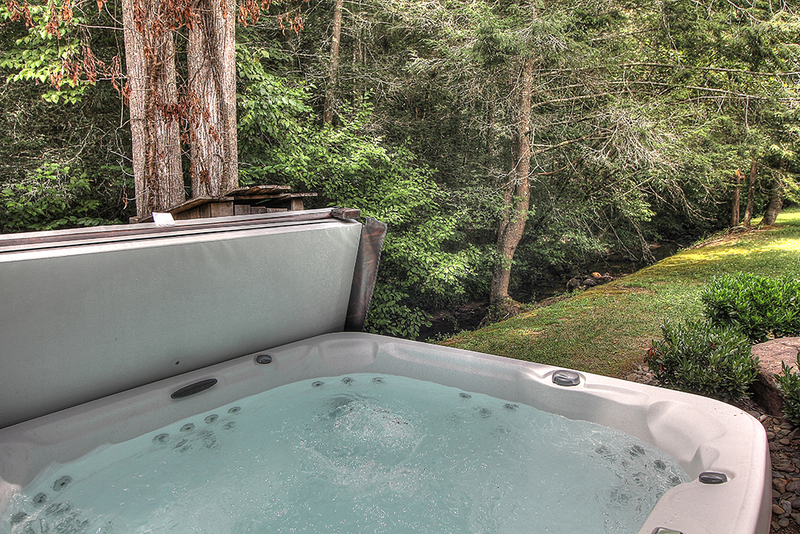 Hot tub for the hikers, game tables for the kids, 2 levels of areas to spread out and relax inside, cozy fireplaces to gather around and best of all, a kitchen supplied with everything we needed. Owner was extremely easy to work with. 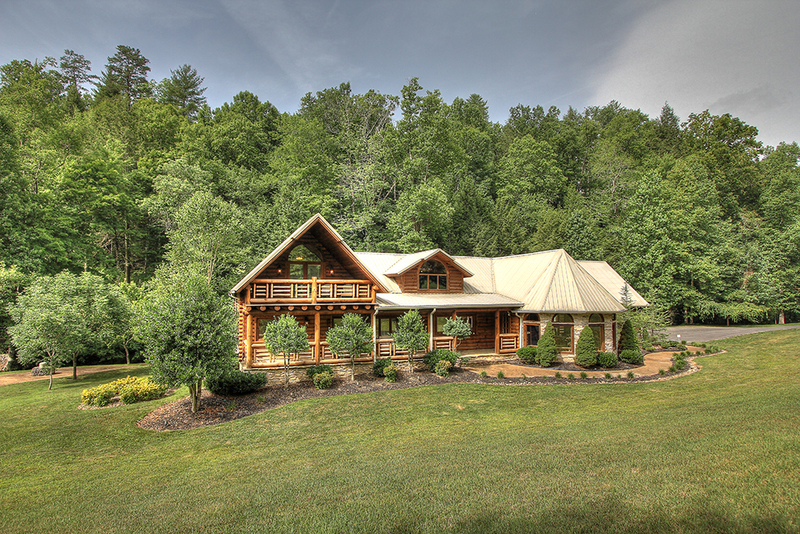 Location was close to Dollywood and yet tucked in a peaceful quiet setting. Highly recommend this place. Thank y’all for an AMAZING week and accommodating our families! What a blessing this was to us! 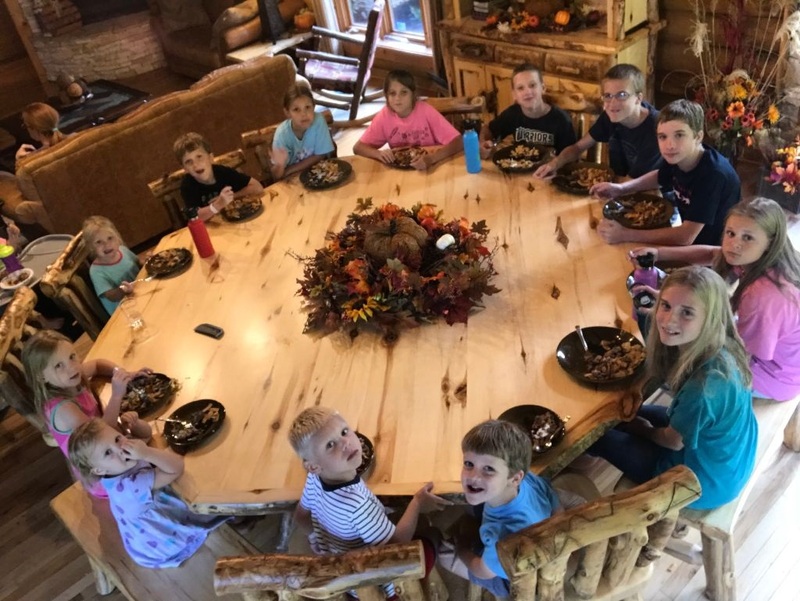 Here is a photo of the kids ( 13 of 15) around this incredibly beautiful table at the cabin. Many memories made! Thanks again and Lord willing we will be able to come back this time next year! 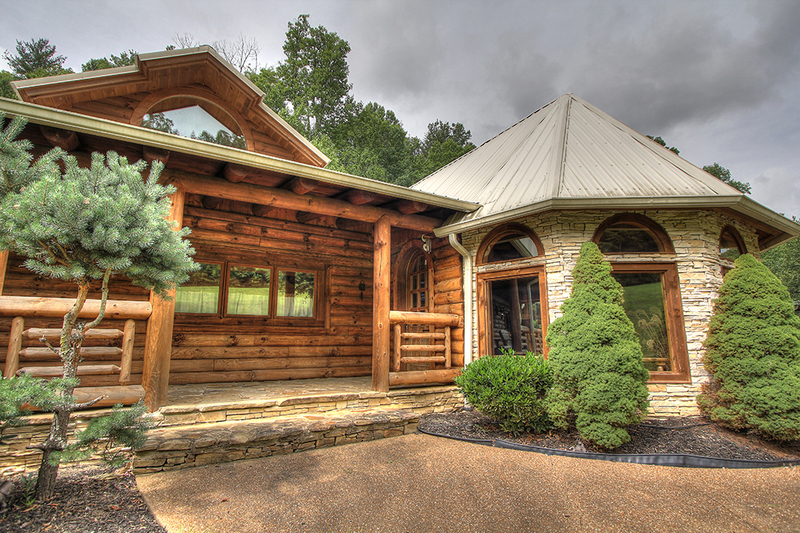 This open, spacious cabin is located about 10 minutes from the main Pigeon Forge attractions (15 minutes from Dollywood) in the quiet Cedar Falls area. 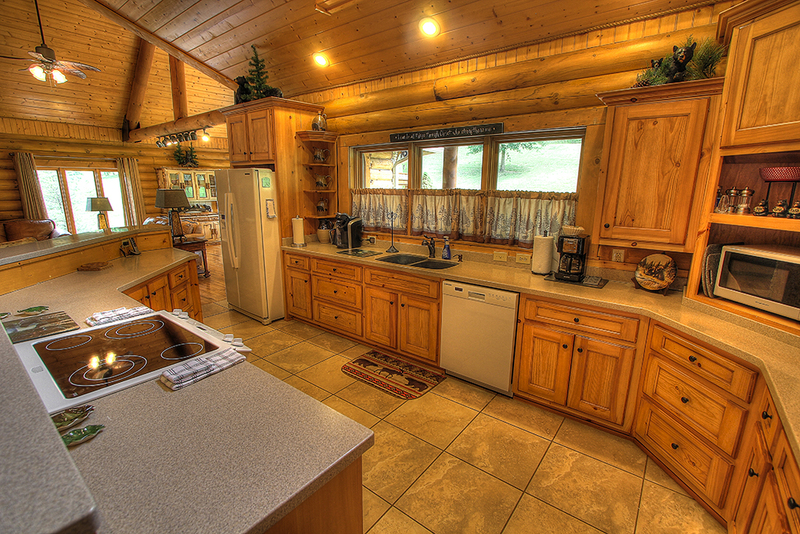 The kitchen is well-equipped (it even had 2 large crock pots) and there is a large table for dining. 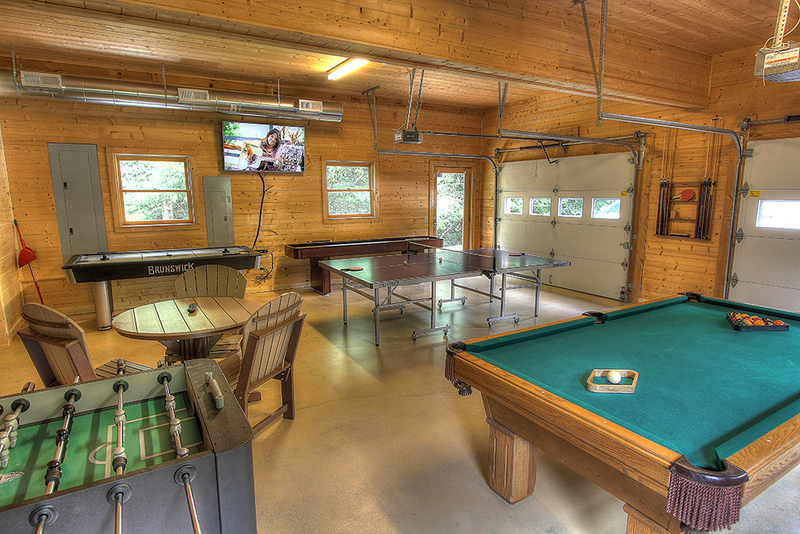 Lots of entertainment options for everyone -2 Arcade games, arcade racing game, ping pong table, foosball table, TVs in every room and a few of great porches with rockers. 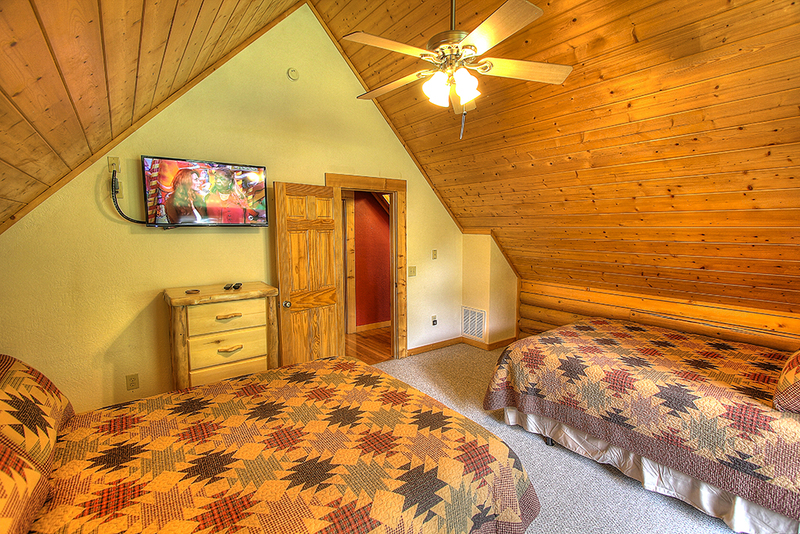 There are bedrooms on each floor so every family had some privacy and the bunkroom was perfect for the kids. 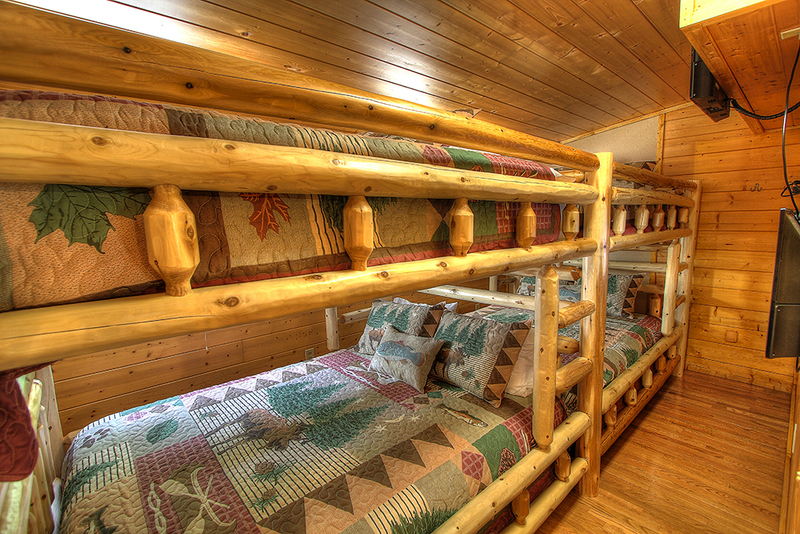 Beds were very comfortable with linens and towels provided. We watched the sunrise over the mountain every morning. We are planning to return next summer. Amazing; Perfect Get Away This chalet was exactly what we hoped it would be for our family gathering. 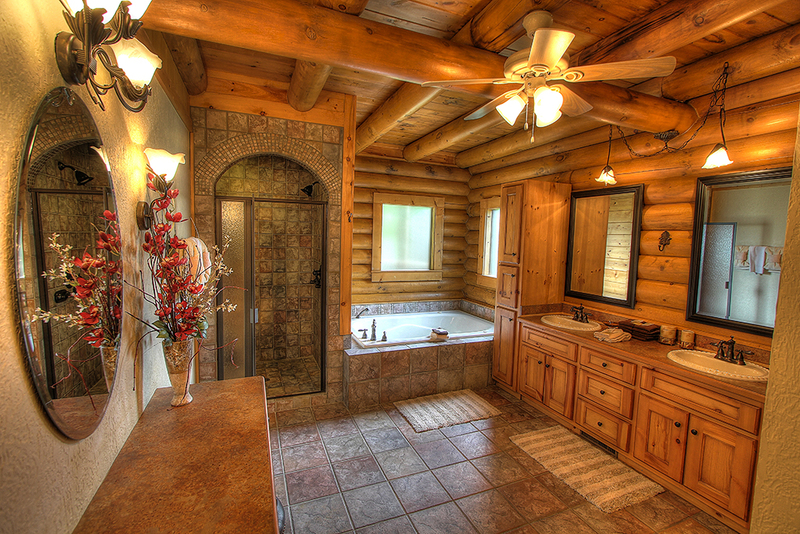 It has plenty of room for every family member to have their privacy as well as large gathering areas. 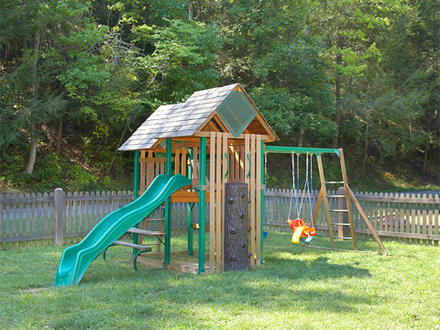 Amenities were perfect for our family with young kids (e.g. 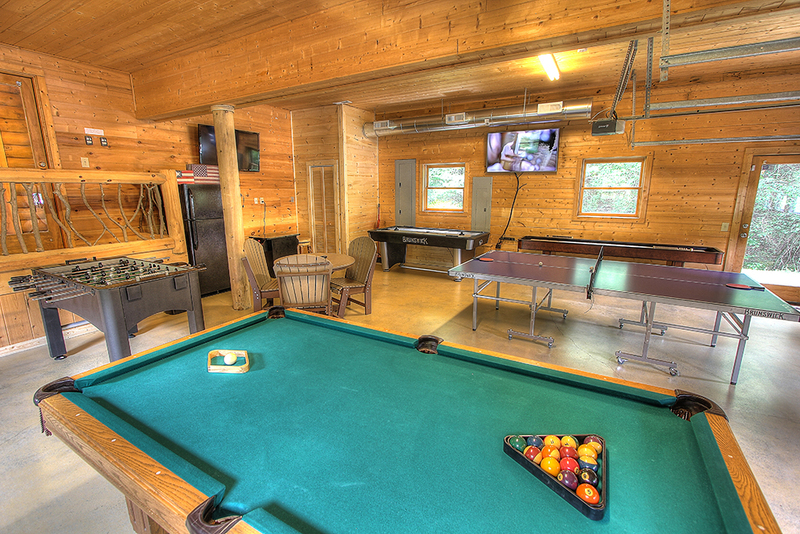 access to pool, pond with fire pit, game room). 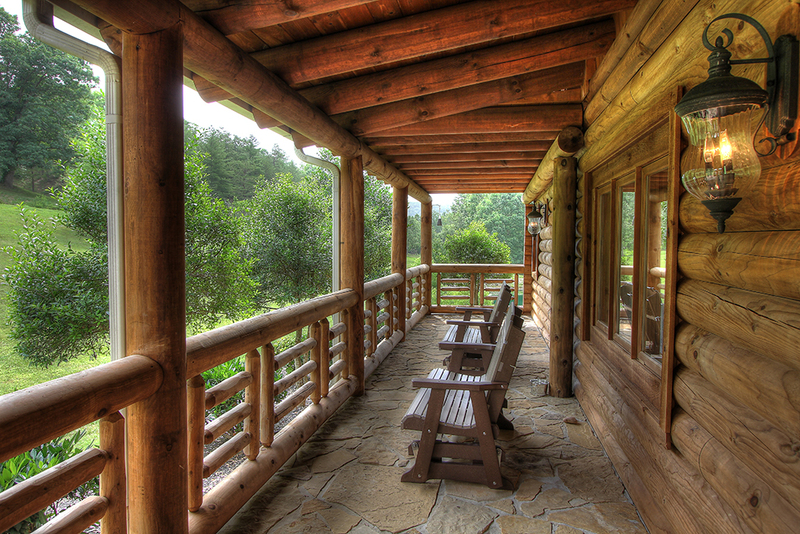 We came to see the Smokies but had a hard time leaving the cabin. Great, great, great! 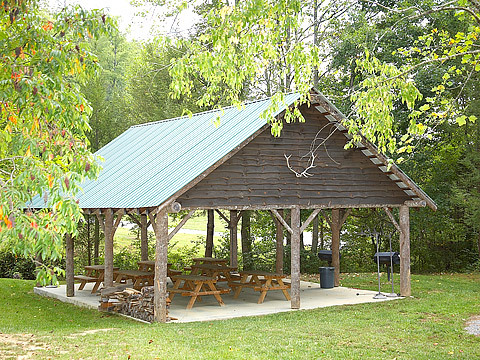 Our family, 15 of us, gathered here to spend a wonderful week! This was perfect for the four married couples and all the children. Location was fantastic! Horseback riding was about five minutes away! 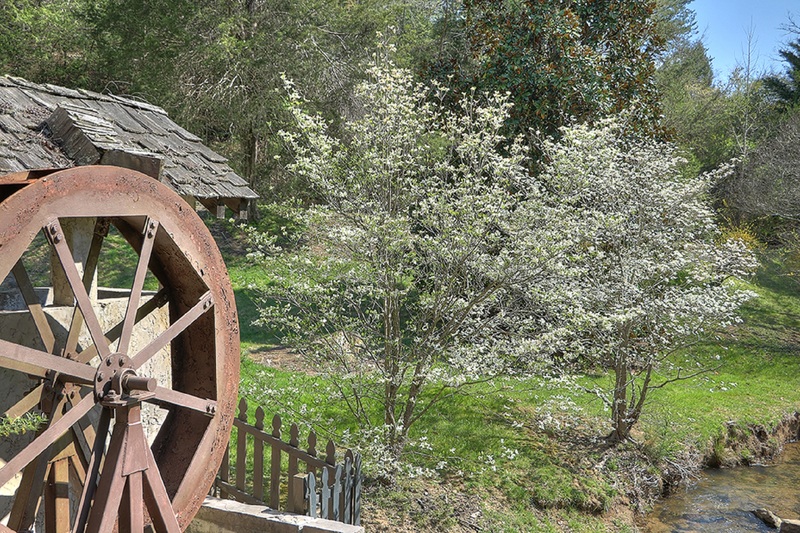 Pigeon Forge and all that fun - easily within a half hour. 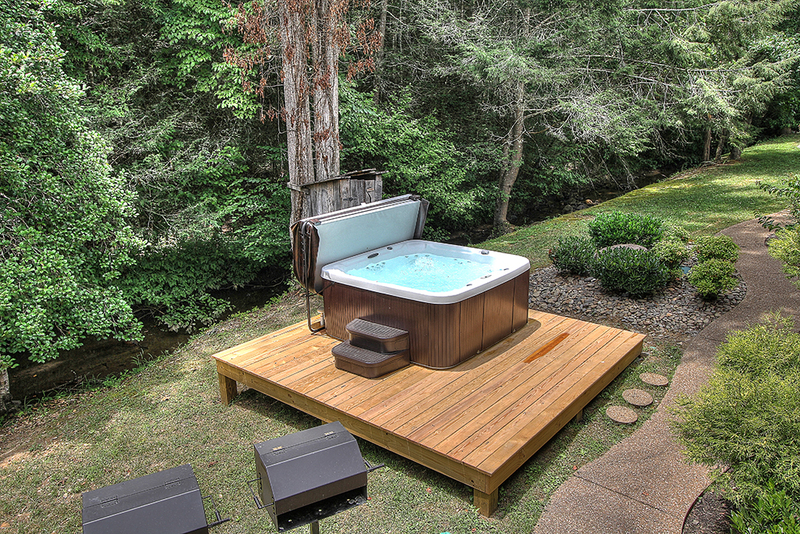 We enjoyed the catfish pond, the fire pit as well as the hot tub. 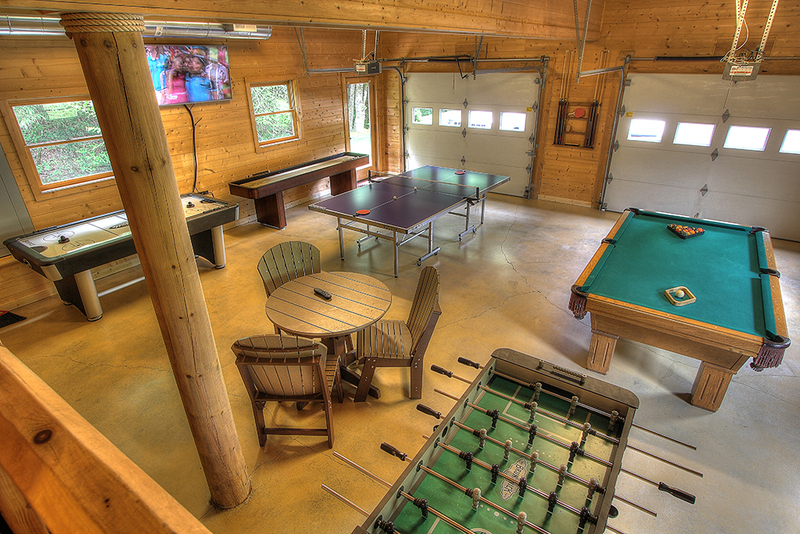 The game room was great for the teenagers, as well as the movie room! The people at Maples Ridge are great hosts! We highly recommend this house! 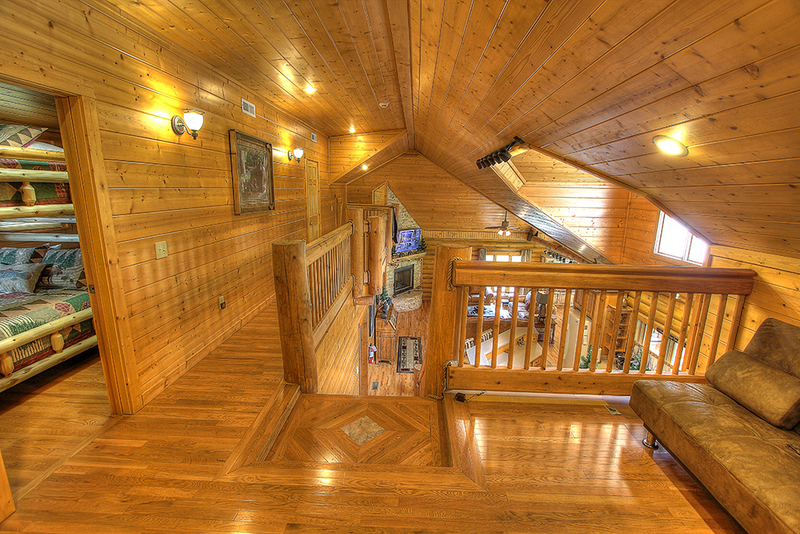 2637 Cedar Falls Way , Pigeon Forge, TN, 37863, United States Date of Stay Feb 9, 2018 Everything about this home was perfect! We will definitely return! 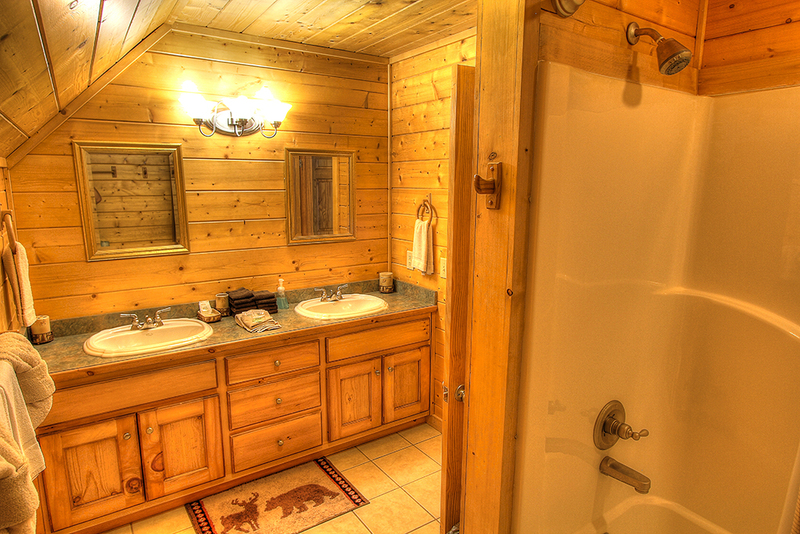 Our only constructive criticism would be that there needs to be an additional full bathroom added! 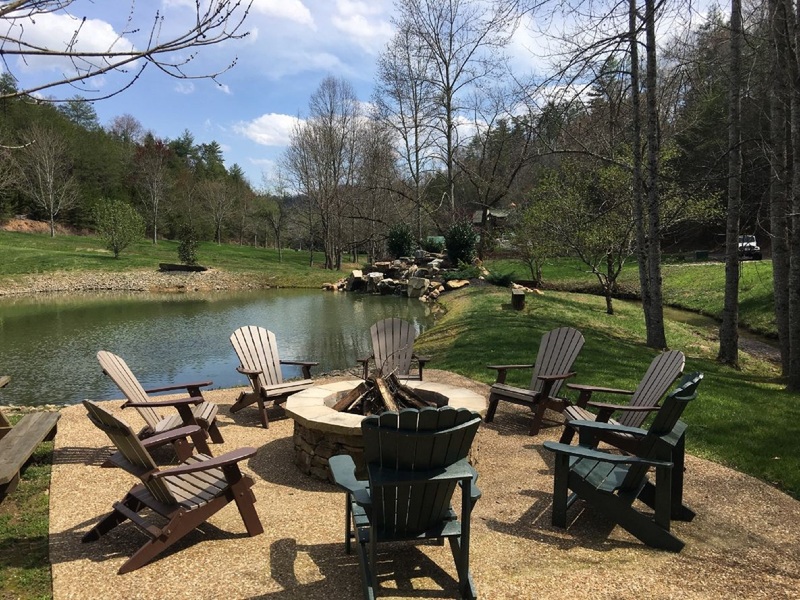 Fabulous place with great hosts (Jack & Lori), really felt like a home and very well situated to explore the very different local landscapes available around the area. 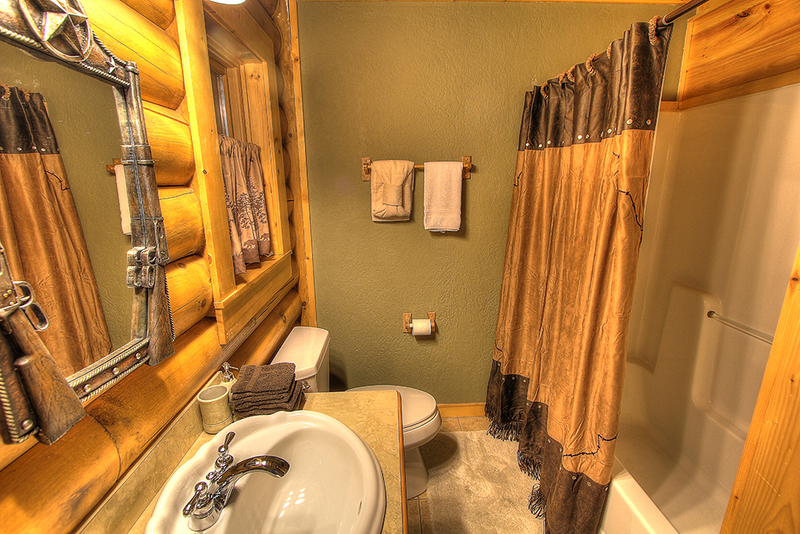 I recommend Maples Ridge Cabins to everyone. 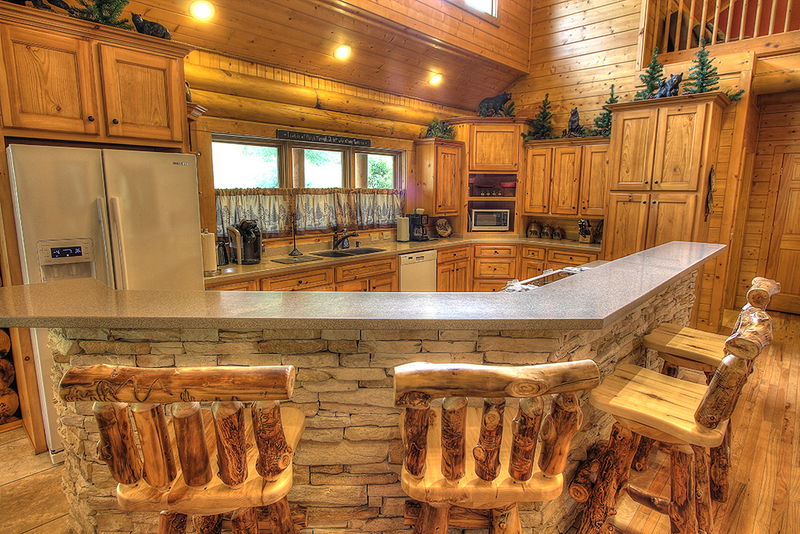 Our Cabin was great and modern rustic, obvious good taste showing, in the quality furnishings and great kitchen. 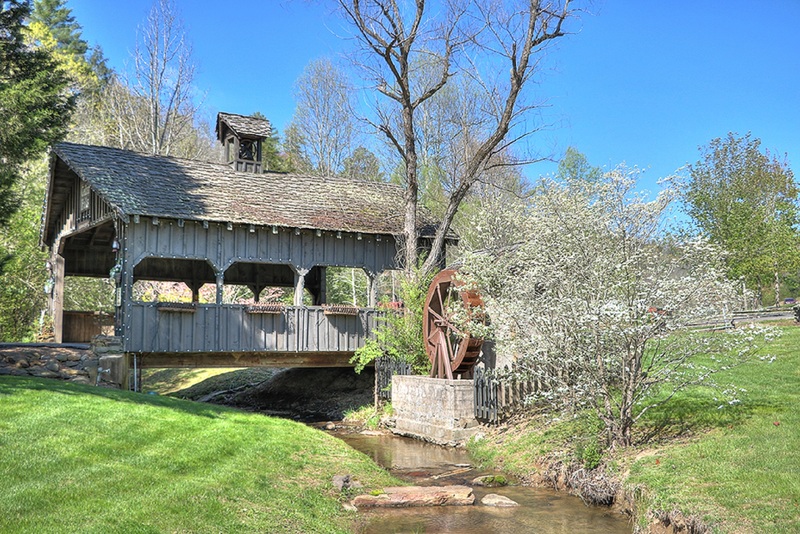 My only regret is that I did not have more time to stay and really enjoy Gatlinburg and Pigeon Forge, it’s great scenery, wildlife and people. I felt truly welcome from the moment I arrived and was sad to leave. This by far was one of the most beautiful place we’ve stayed. 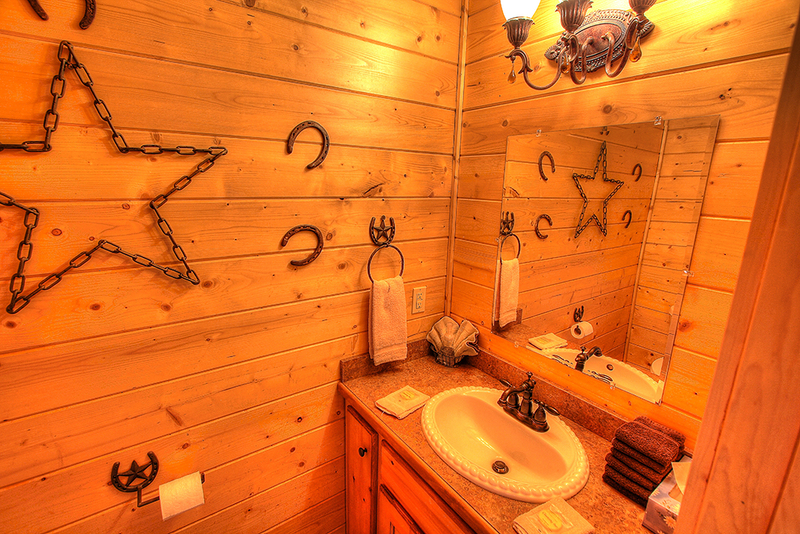 The owners have put their heart and soul into every beautiful detail. It’s clean, comfortable and luxurious. 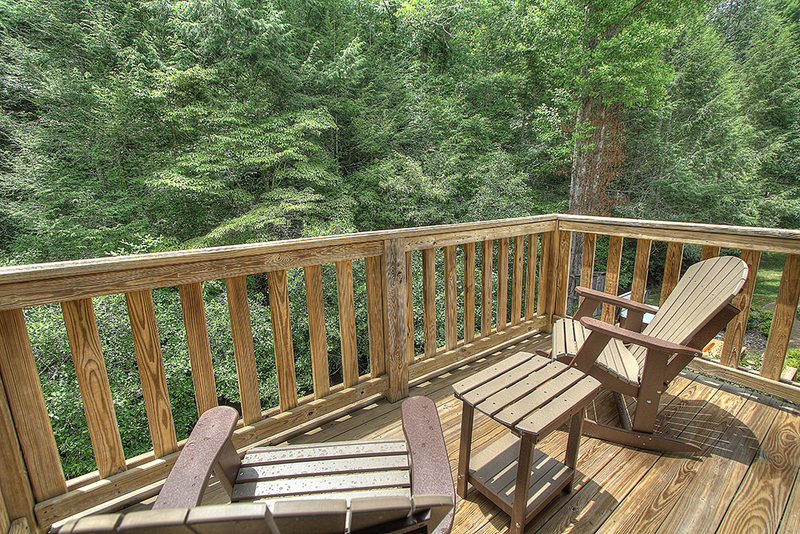 You can lie in bed and listen to the stream cascading over the rocks or enjoy the scenery from the deck. 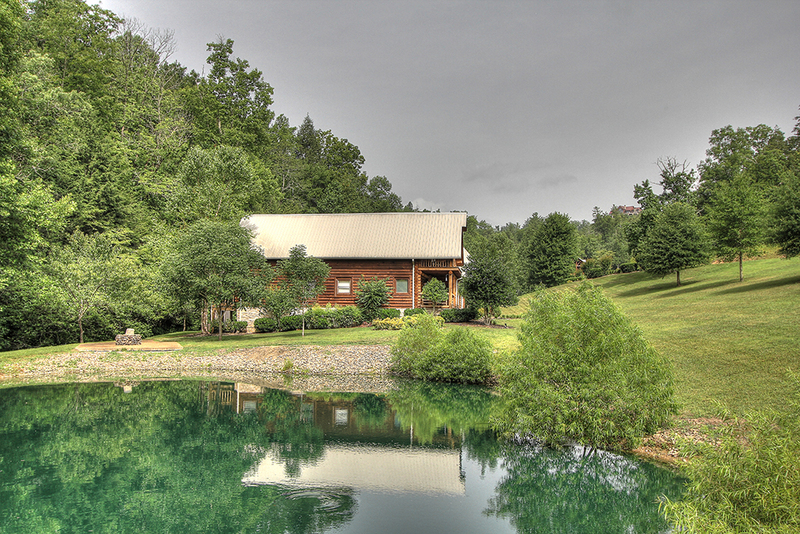 It is so peaceful and quiet and just a quick trip to Pigeon Forge. 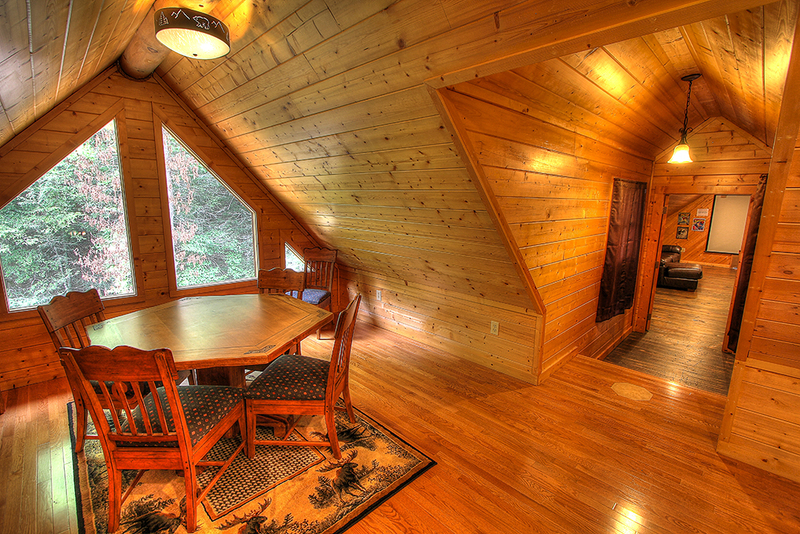 This Cedar falls cabin was very spacious for our whole family of 17. 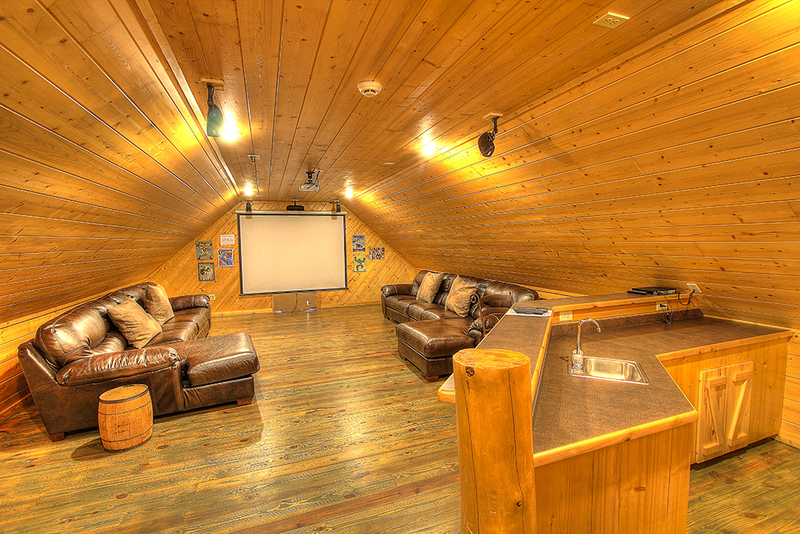 The theater room has two huge sectionals, small kitchen and a great movie library. The game room has 3 tv’s, 3 arcade games, one you sit in and drive like a car. The game room had a refrigerator and small table, perfect for the youngsters. 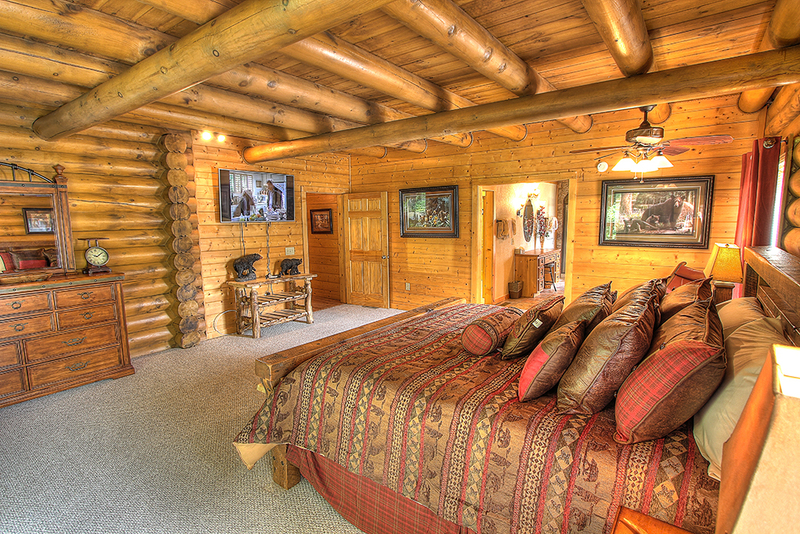 Each bedroom with a theme: Deer, 2 Moose, Fish, 2 Bear. 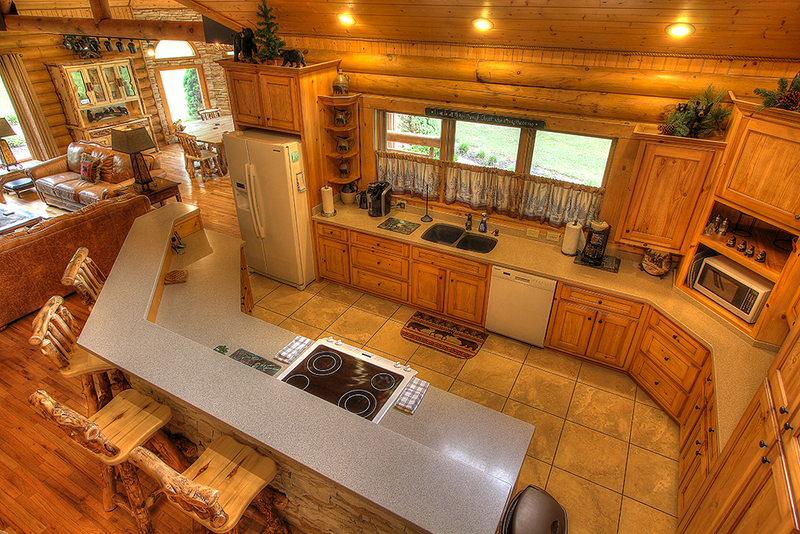 The kitchen has every appliance you can imagine- from a popcorn popper to 2 crock pots. 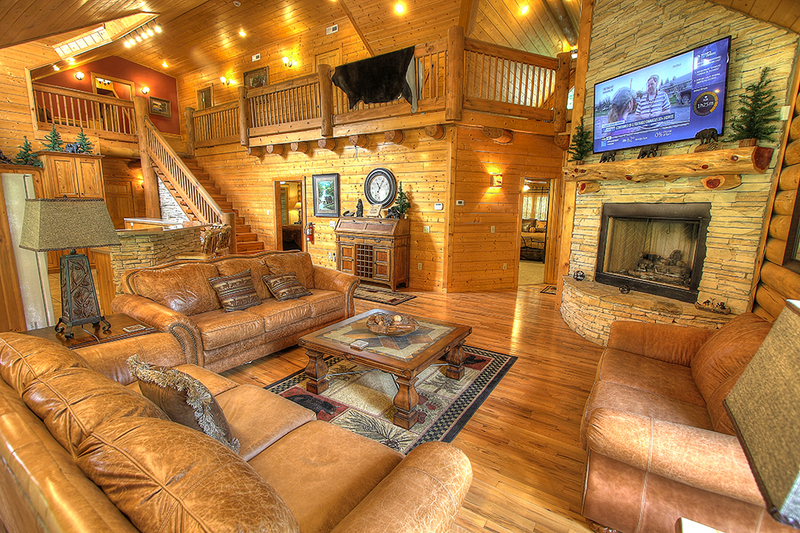 I highly recommend this lodge and we will definitely be back next year. We had a wonderful trip. 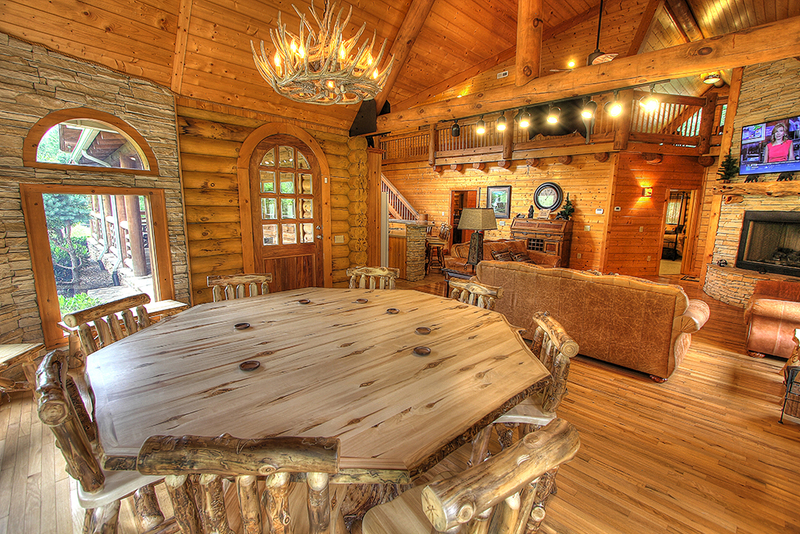 This cabin is exactly as advertised PLUS. It is beautiful as well as so welcoming. The kitchen had everything we needed plus more. We had a total of 16 in our group ages 6-55. Our grandchildren had a blast playing outside as well as in the game room and made great use of the theatre. It was decorated for Christmas, which was great and made us feel right at home. 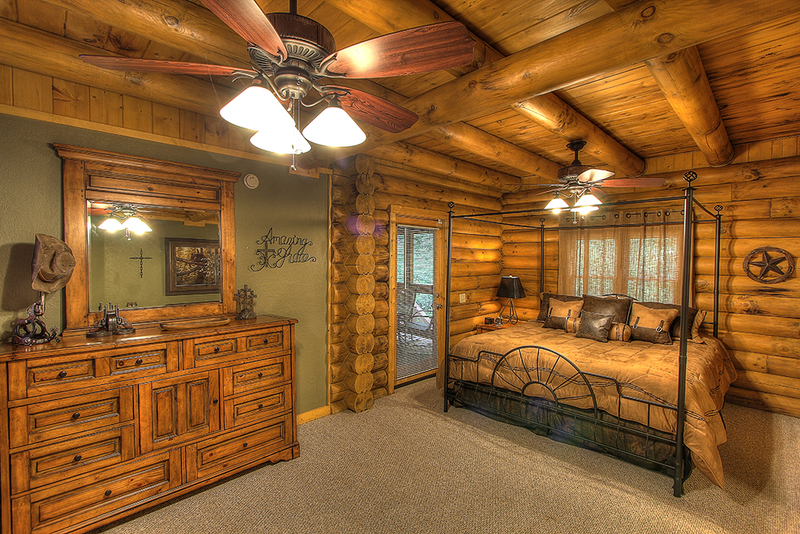 I can't say enough nice things about this cabin as well as everyone that we had contact with upon check in. We are considering trying to book again for spring or summer next time. Absolutely PERFECT!! 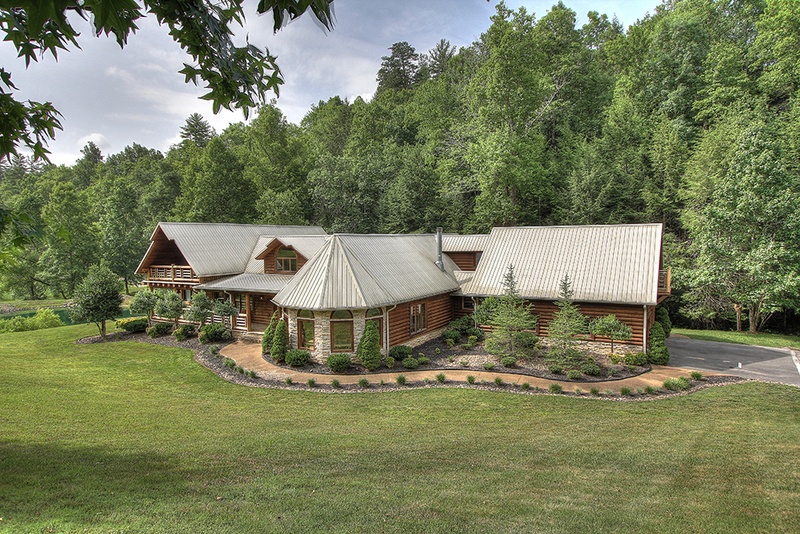 Beautiful home and landscaping. Great mountain view. 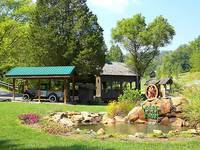 Easy drive to Sevierville airport and Gatlinburg. We came for our son's wedding in Wears Valley, easy drive. Some of the family hiked Mount Leconte in the national Park - all easy to get to. And in the evening we sat in beautiful backyard by the creek and firepit! 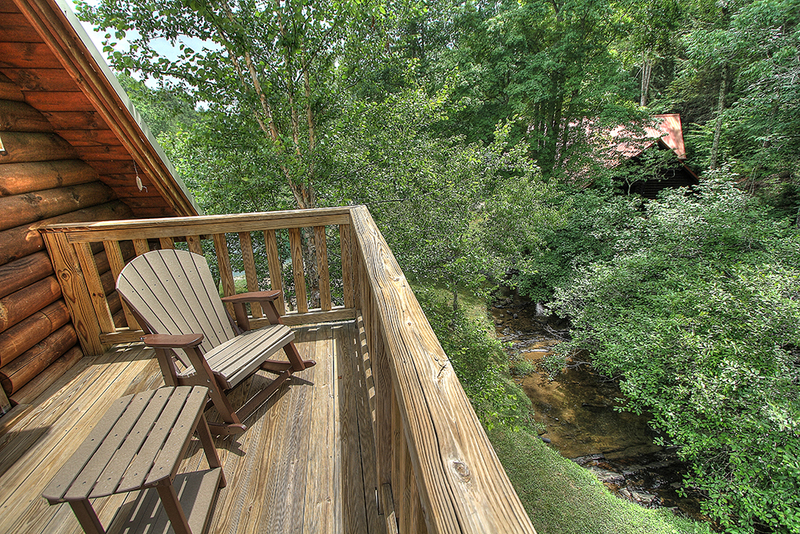 We stayed at the Creekside Cabin and it was beautiful!. Only had a few minor issues (needed trash bags and had a wasp nest) which were handled promptly by the management. 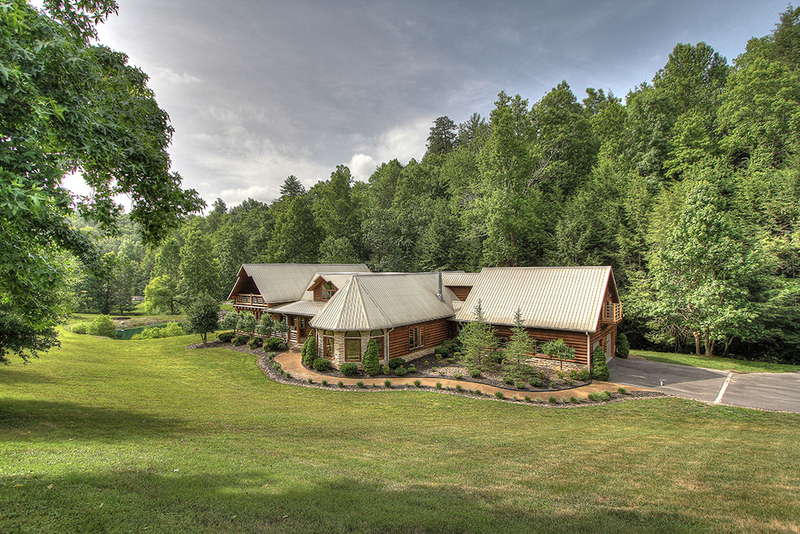 This is a gorgeous property with plenty of room for the family. Kitchen had everything we needed to prepare meals. would definitely stay here again! 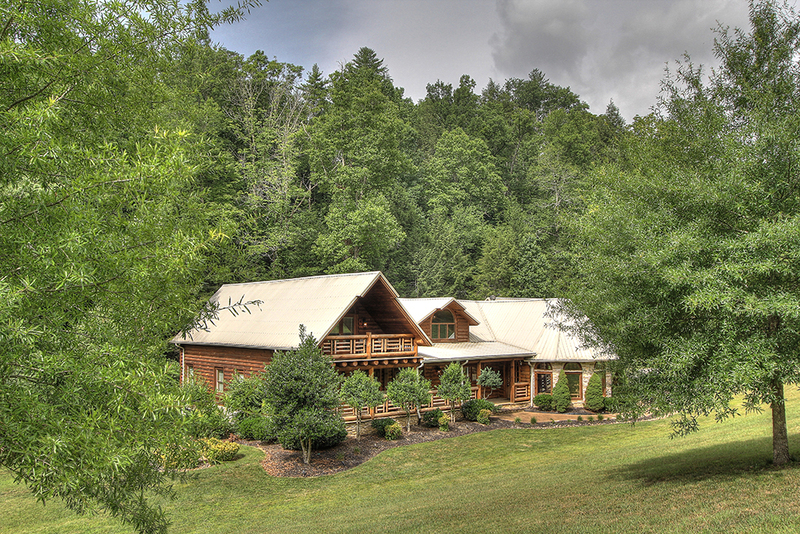 We had a multi-generational family vacation stay at this house and it was perfecto! There was so much to do in the area, nobody was bored. The house served as the perfect back drop and meeting location for all in attendance. We loved everything about the house. It's exactly as advertised. 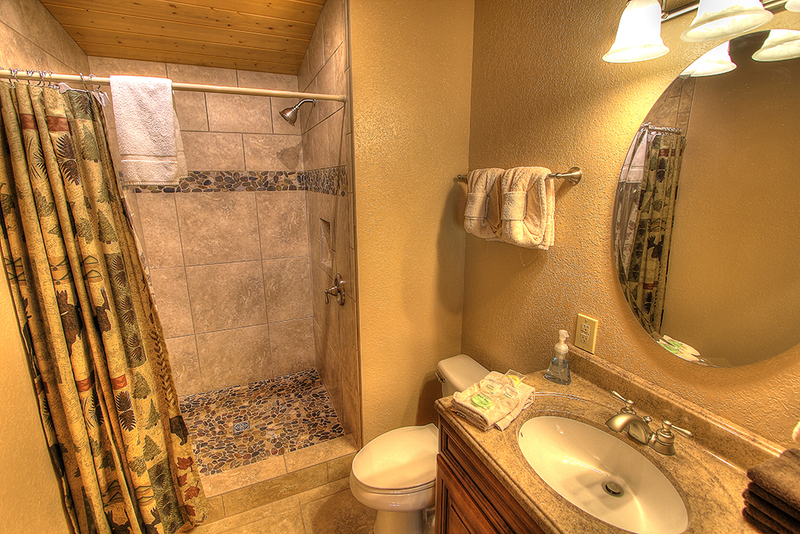 Very comfortable, well maintained, equiped kitchen, fantastic dinner table. We will remember this vacation for a long, long time. 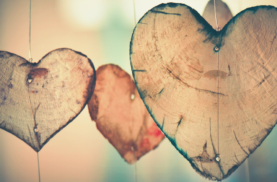 Thank you for allowing us to rent your lovely home. Cabin, location, and owners were all top-notch Cabin was exactly what we needed for the 15 of us. Clean, well furnished, spacious, etc. 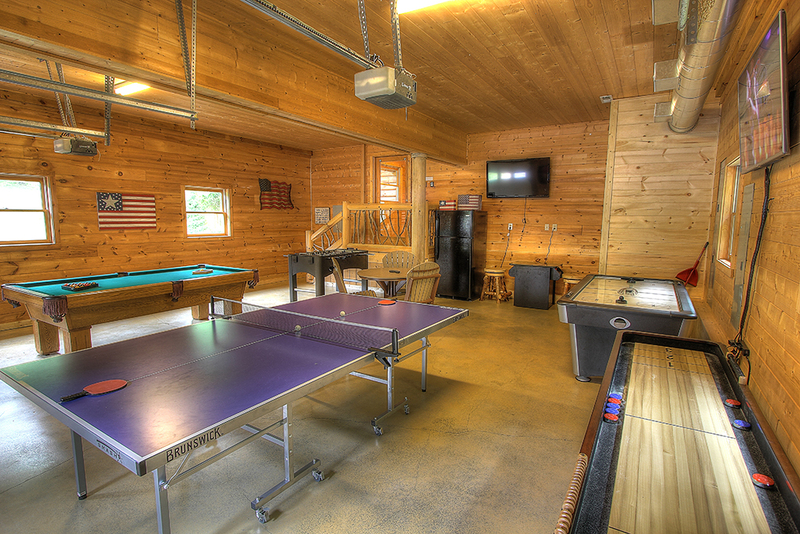 Game room was a huge hit with the entire family, not just the kids. There was ample room for everything. The convenient pond and fire pit were very nice. 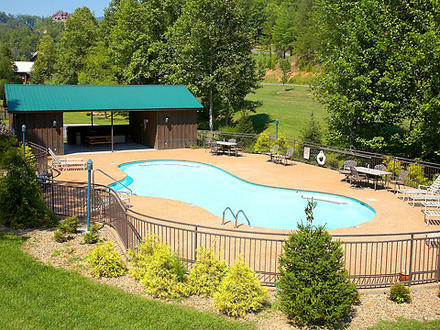 Close proximity to the pool and basketball court was also great. Owner was very quick to respond to questions prior to trip, and even during. Would certainly stay there again! There are no words to describe how incredible our stay was! This home was beautifully decorated for Christmas. 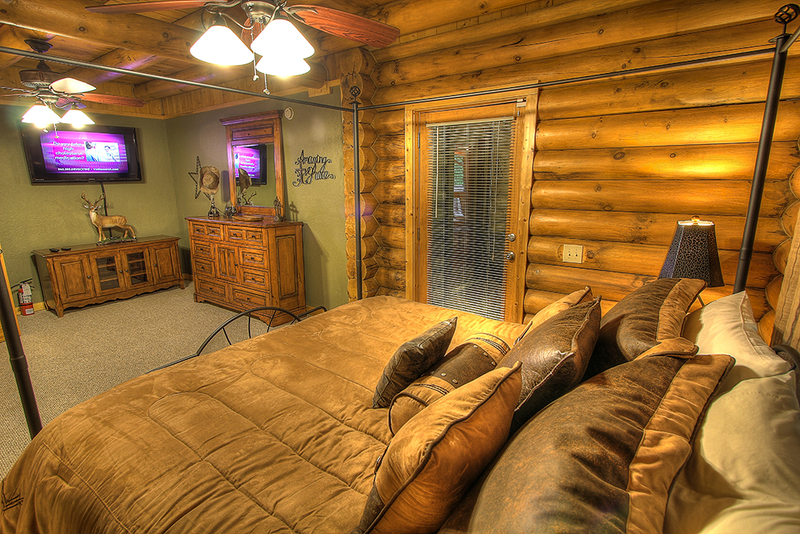 Our family was able to relax and enjoy our time together without being cramped! I HIGHLY recommend this home for anyone with a large family! 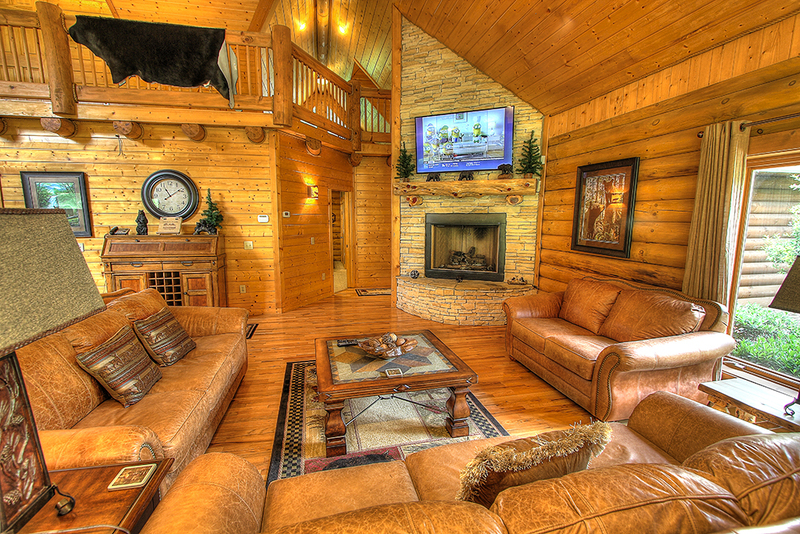 On our vacation this year we stayed in a very beautiful home at Cedar Falls Resort. 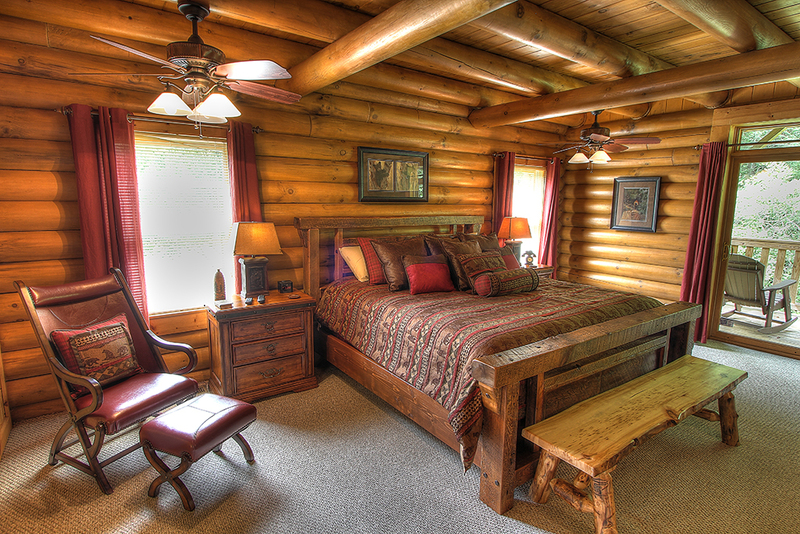 Our family stayed in the Creekside Lodge which is maintain beautifully and it has every amenity you could wish for. 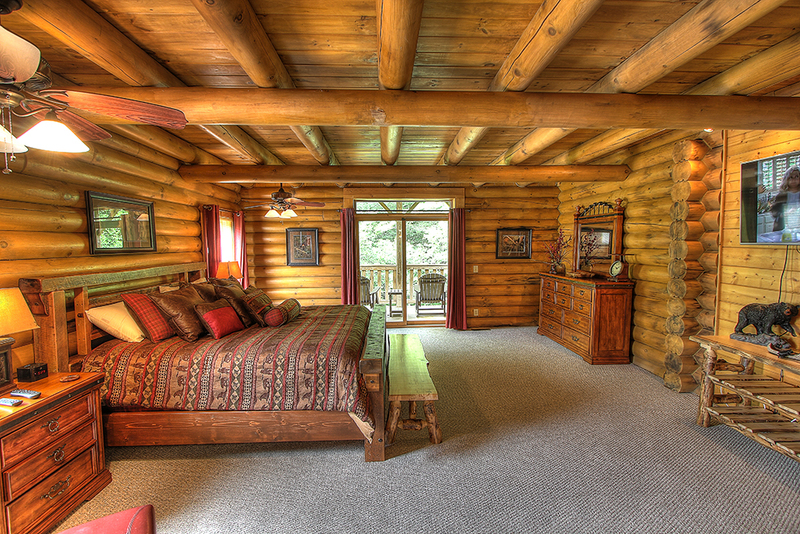 The home is decorated just right all through the home and there is lot of room for everyone. 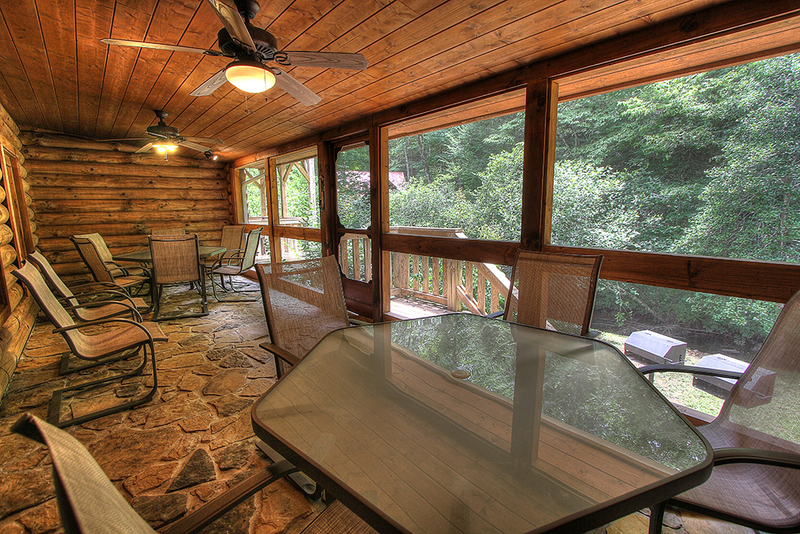 Our family just loved everything this home had to offer and my husband loved the screened in porch. The outside property is landscaped very lovely as well. My husband is on oxygen and when we checked in at Maple Ridge Cabins they were very helpful and accommodating trying to help to find out why his supplies did not arrive. 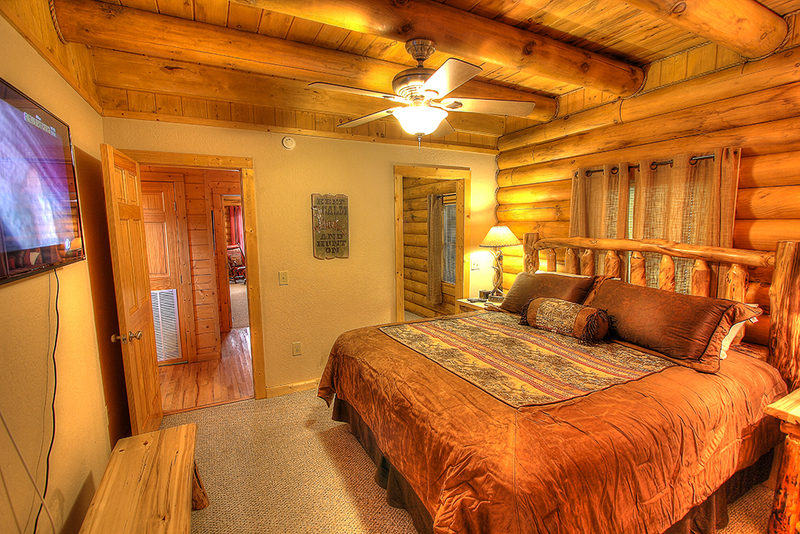 The Creeksiide Lodge is a very lovey place to stay and we are sure your family would love it as much as our family did. 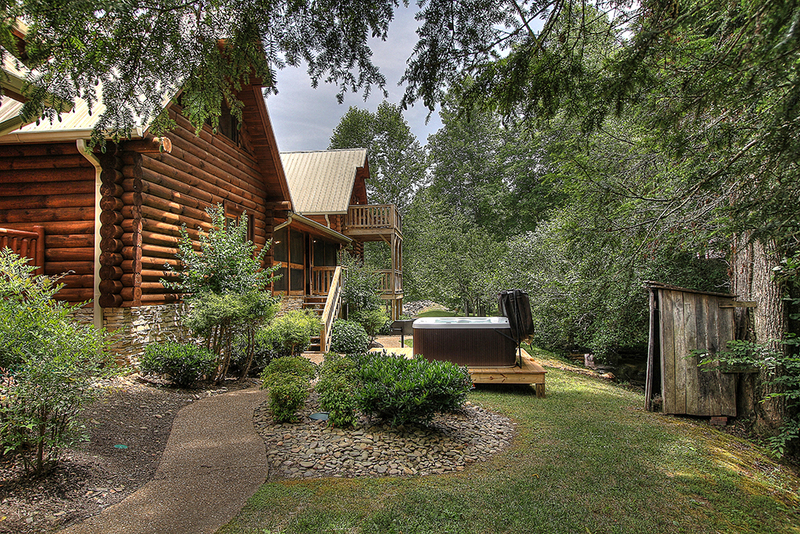 Over the past years we have stayed in at least four other cabins when coming to Pigeon Forge and all the family has agreed this is by far the best one of all. Our family is already talking about the possibility of going back to stay at the Creekside Lodge again in 2017 since we enjoyed it so much. Thank you very much for sharing your home with us.